Spectral Records is back! 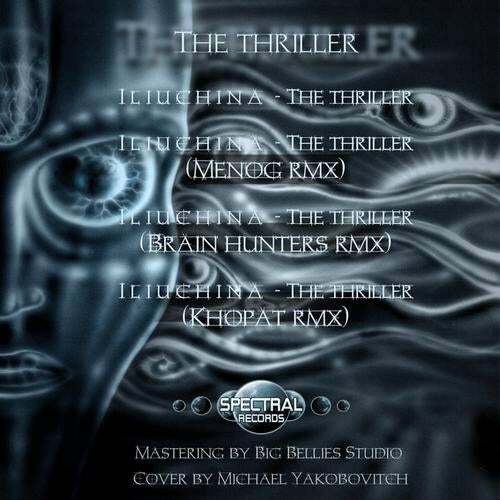 This time a Release on a Digital format, the EP ” The Thriller” from our newest Artist from Israel, Iliuchina. This young musician is keeping Trance fresh and vibrant with Twisted Melodies, Strong percussion and Peculiar details, it what you will hear from this new artist. Remixes from Menog, Khopat and Brain Hunters to support this new release making it a powerful EP coming next July 2011 on every Digital Store. If you want to keep the Trance music breathing, support those labels that still try to keep it alive… Keep it Psy!